Aldermen postponed signing an agreement to fund a Youth Job Center career partnership management position at Monday’s City Council meeting. The position would inform Evanston Township High School students about possible career paths that don’t require attending college. To fund the position, the city would have to allocate $90,000 from the Good Neighbor Fund in the fiscal year 2020. The Good Neighbor Fund is Northwestern University’s commitment to the city to donate $1 million every year from 2015 to 2020. A portion of this year’s funds have gone to Mayor Steve Hagerty’s workforce initiative Elevate Evanston, which chose to fund a full-time staff member at the YJC in the past. Karen Demorest, the executive director at the Youth Job Center, said Monday that approximately 200 ETHS graduating seniors choose not to go to college every year. Demorest said the career partnership management position would facilitate collaboration between ETHS counselors, career and technical education programs and local employers. She said the position could change the dialogue at ETHS, where college and career opportunities systems are heavily intertwined. Neil Gamow, who is a member of Hagerty’s Employer Advisory Council, also said a career track that doesn’t include attending college is not yet “visible” at ETHS. He said the position would train counselors to talk to students, parents and teachers about available job opportunities. “We need to be able to have that implanted in the school so that those opportunities are right in front of the parents, the teachers, students, counselors,” Gambow said. He added he is looking forward to helping these students. Ald. Tom Suffredin (6th) emphasized the importance of giving adolescents the opportunity to discover their passions outside of college. He said the Youth Job Center career partnership position could help young adults in the Evanston community. Aldermen postponed authorizing the agreement to a later date. Ald. Robin Rue Simmons (5th) said the city needs to support career paths that don’t include education debt but wanted to inventory other workforce development programs. 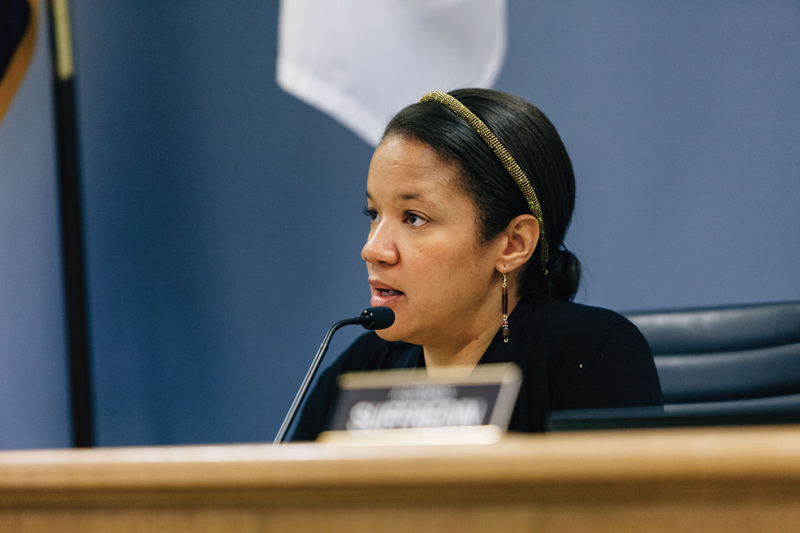 Simmons said $90,000 was a “substantial investment” and that she wanted to ensure responsible use of city funds while still maintaining the partnership with the Youth Job Center.